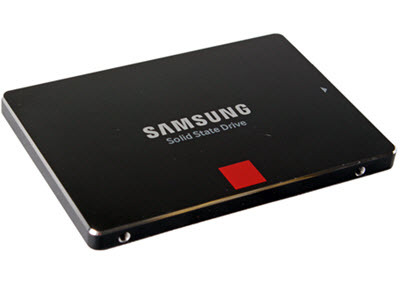 SSD is short for Solid State Drive, a more sophisticated version than USB flash drive to store data. Compared with the cheaper HDD that offers up to 10TB storage, SSD contributes to faster performance, which is gradually dominating the market. Here we just share some of the best SSD for Mac users desiring top computing performance. Before introducing the best one to upgrade MacBook Pro/Ai, etc, you can have a look when to use the solid state drive on macOS. 1. You want it simply to expand storage. 2. General SSD drive is 5-20x faster than a hard drive. You may want to replace HDD to SDD for adding some serious speed, faster app and web pages launching. 3. You need to replace an existing internal SSD with an external one compatible with Mac. 4. Upgrading to SSD from a traditional hard drive will remove Mac's last obstacle to perk performance, like more silent and durable. Now it's time to update your Macbook Pro to external drive to improve your Mac performance. If you start shopping the best SSD for Mac, just think about your budget, storage capacity, performance need, the brand, and Mac compatibility before doing so. And here we gather the most reliable SSDs for Macbook Pro/Air, both internal and external. With best combination of performance, features, cost and capacity, Samsung 850 Pro is one of the top-performing SSDs designed for Mac. The best SSD drive for Mac has dimensions of 69.85x100x6.8mm, which uses VNAND technology to deliver fast speeds and is available with up to 2TB storage space. But you have to bear in mind the solid state drive offers 5-year warranty that is 5 years less than the Pro version. Besides, the Magician software that is great for drive installation, maintenance and faster data transfers only doesn't work on Macs. This is another best standard consumer-grade solid state drive for Mac on the market, featuring 3D vertical NAND flash memory for high endurance and good performance, a rarely seen 10-year warranty, 2TB capacity, encryption and better performance mode Rapid. It is a little bit expensive compared with other best SSD for Mac. But it is considered as the first choice to upgrade MacBook HDD to SSD for Mac users writing a huge amount of data to the internal drive each day. It is the most popular 2.5-inch standard solid-state drive. It is most suitable for users with deep pocket. But it's worth your money as the best solid state drive for Mac is the fastest, sustaining copy speed of 447MB/s for writing and 437MB/s for reading. 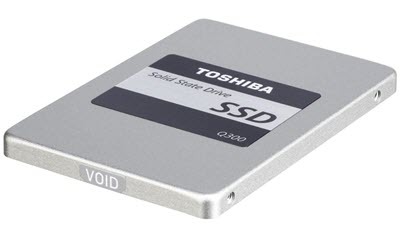 The Toshiba's SSD is available in 128GB, 256GB, 512GB and 1TB capacities. It has high endurance rating, which specifically means VX500 is one of the most reliable external SSDs for Mac. Crucial MX300 is speedy and affordable among users wishing to upgrading Mac's hard drive. The price is competitive and the performance is great. 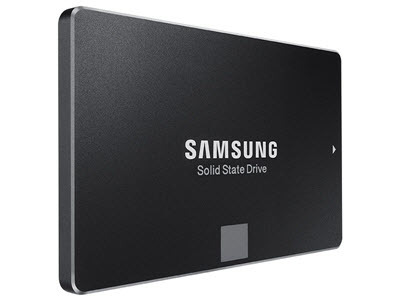 This one follows Samsung SSD 850 EVO to use 3D flash memory and offers hardware encryption for strong security. But Crucial drive won't customize overprovisioning, which the reason why it is clearly slower than the SSD 850 Evo. Toshiba Q300 is 69.85x100x7mm, consuming only 3.6W when active and 0.3 whilst idle. There are four capacities, including 120GB, 240GB, 480GB and 960GB. It's an impressive SSD internal hard drive for Mac, delivering fast speed but at a relatively cheap price. But the test is impressive, hitting 529.3MB/s read and 511.5MB/s writing. 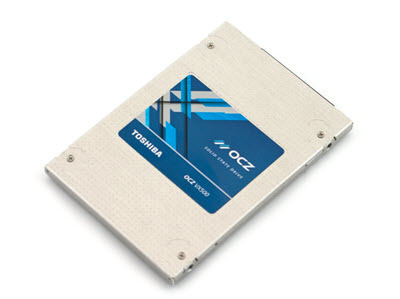 So when it comes to the fast performance and cheap price, Toshiba Q300 absolutely joins our best SSD for Mac list. There are still another 5 top-functionally SSD designed for Mac, you can take a look at the table below to learn the other 5 best SSDs to upgrade MacBook Pro. 1. It delivers fast performance at low cost. 1. Only offer 3-year guarantee, 2 years shorter than other best solid state drives for Mac. 1. It offers top performance among standard SSDs for Mac. 2. Include a 10-year warranty, the largest yet. 3. Improve random data performance. 2. Benchmark shows it is slower than other SSD drives when used as a system drive. 1. It is the most reliable one compatible with Mac that offers a high level of data safety. 1. It's fast and affordable. 2. The solid state drive for Mac offers software and desktop drive-bay converter. No USB-SATA adaptor or kitchen sink. 1. Fast, user-friendly and affordable. 2. It can be used with both Macbook Air/Pro, iMac. 3. Not ability to merge two drives into one. 1. There is no support for RAID. 2. Not ability to merge two drives into one. 1. What's the Difference between External and Internal SSD. You may be confused of opting for the internal or external SSD drives. 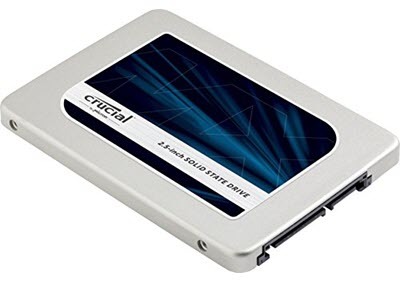 Generally, Internal solid state drive has dedicated memory control so as to perform at great write/read speeds, while external one is ultimately affected since it restricted by bandwidth limitation of the USB or Thunderbolt port. But external drive is relatively portable and easy to install, which gives you a good performance boost over the HHD in older Macs. Actually, by digitizing your DVD collection, you can store the movies on your Mac easily. But this isn't quite as easy as just drag-n-drop. You rely on free DVD ripper like Handbrake to rip DVD for storing on your best SSD for Mac, but it tells you no valid source found or title found error, due to the DVD copy protection. So a tool with DVD decryption and ripping abilities is much needed, MacX DVD Ripper Pro is the top choice, allowing you to copy DVD to external drive like rip DVD to hard disk in format of MP4, MOV, WMV, AVI, MKV, etc. There are cases you need to free up your iPhone storage space and backup the data from iPhone to Mac's solid state drive. So a data transfer program is a must have. MacX MediaTrans features what iTunes won't do, transferring photos, videos, movies, TV shows, ringtones, music, etc between iPhone and Mac, thus you can store the files on the best Mac compatible SSD drive with ease. MacX DVD Ripper Pro is a professional DVD ripper to rip and copy DVD to SSD drive for Mac with MP4, MOV, MKV, AVI, FLV, VOB, MPEG-2 and more at fast speed. 5 Mins to rip a full DVD to external SSD for Mac with intact quality as long as you have high-end hardware configurations on your desktop!